San Diego Horse Coalition is an all-volunteer organization made up of equine professionals and community members dedicated to improve the well being of horses in San Diego County. 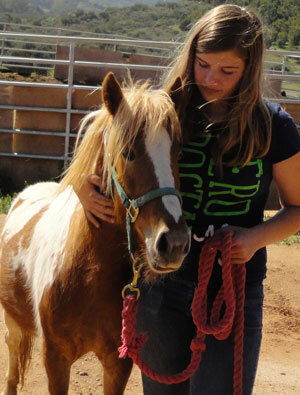 A generous grant from ASPCA provided the seed money necessary for our programs. However, we need your support to grow and expand our services. Funds help provide care of rescue and sanctuary horses, as well as provide assistance to owners struggling to keep their horses in their homes. The San Diego Horse Coalition is operated under the Toby Wells Foundation, a 501(c)3 organization. Your donations are tax deductible. Please make checks payable to TOBY WELLS FOUNDATION – Memo: SAN DIEGO HORSE COALITION.